Texas cities you must visit this year...! Now before you set out on your Texas vacation, it’s a smart idea to gather some ideas about the cities that you would like to visit while on your stay. Texas is a large state, so there are a lot of cities between those borders to see, and it’s ideal to get some information before setting your heart on any particular destination. They say that everything is bigger in Texas; however, there’s a lot about Texas that isn’t immortalized in cliché phrases, so you should get out there and experience this amazing state for yourself. Take a look at some of the incredible cities below to learn about some the Texas cities you must visit in your lifetime. The capital city truly lives up to the honor of being Texas’s premier city, as it boasts some of the most lively and original culture of any of the major Texas cities. Austin is known for its emerging music and food culture which seems to tie in seamlessly with each other. 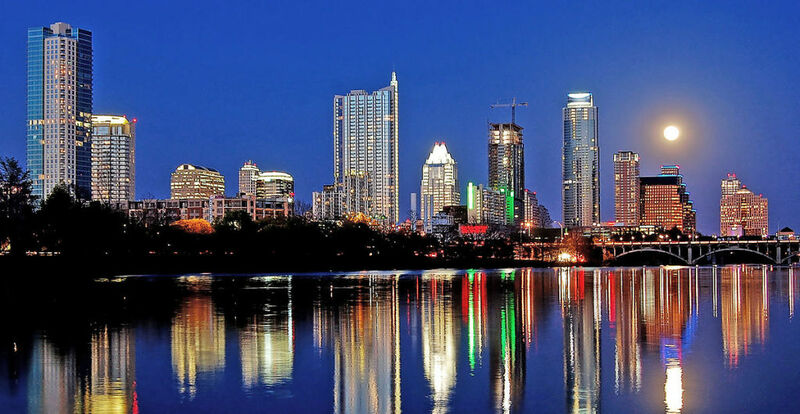 If you live an active nightlife, Austin has plenty in the way of late-night entertainment to offer you and your vacation buddies. In fact, if there were only one issue with vacationing in Austin, it would be choosing between the countless attractions in which to partake. Dallas hold its own as being the second largest city in all of Texas; however, this immensely large city has the feel and culture of a much smaller city. For example, the neighborhoods are booming with local, non-fast food restaurants and many locally-owned music and bar venues that really support the local culture on a friendly, neighborhood level. Aside from the many bars and music venues to visit, you also get the big city professional sports teams that are always special to see play live, so get yourself some Cowboys and Mavericks tickets to thoroughly round-off your visit to Dallas. H-town is probably known as one of the most intense and fun-filled cities in all of Texas, as it constantly plays host to a number of music festivals, professional sports events, and yearly parades and rodeos. While this is all true, it’s also a city of significant historical value, as it is also home to the Lyndon B. Johnson Space Center, which is where astronauts once trained and prepped for space missions decades ago. Fort Worth is a quieter alternative to the previously mentioned cities, as it is a bit smaller and more reserved than the other larger cities; however, that in no way means that Fort Worth is a boring city. Known for its Sundance Square, this downtown wonderland allows you to dine, drink, and shop under the twilight of the big Texas moon. Catch performances by professional singers or step into a small bar to check out local bands playing in their regular spot. Fort Worth provides just the right mixture of calm and enjoyment that you’re looking for, and not to mention hotels in Fort Worth are an affordable deal that the other cities simply can’t compete with. Texas has, of course, so much more to offer than just these cities, but if you’re going to start off anywhere, any of these cities make excellent candidates. Just remember to do your research before making any final decisions, because what’s important is enjoying your time in the Lone Star state.